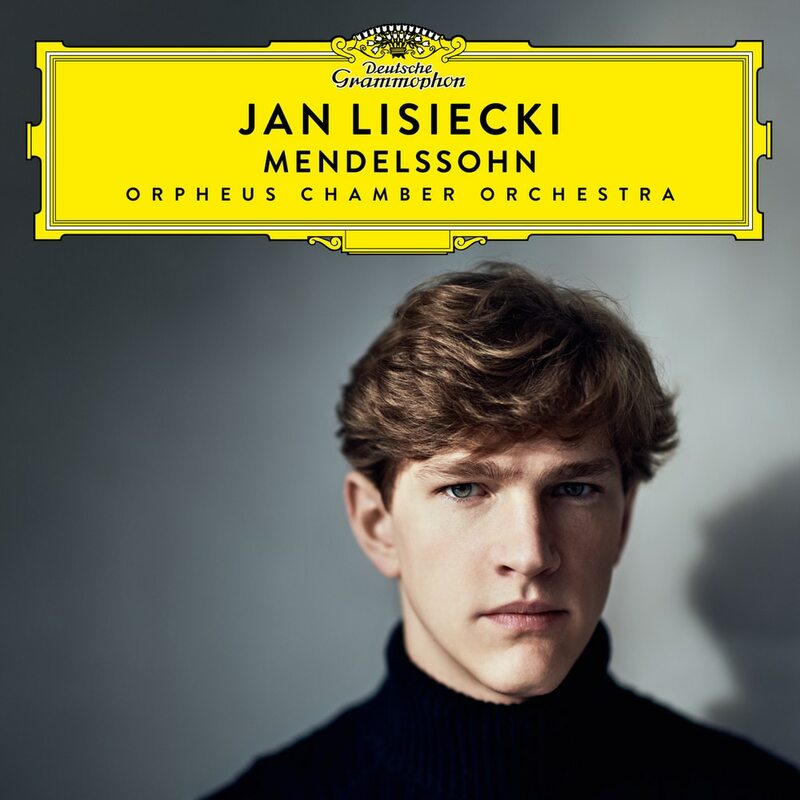 For his latest Deutsche Grammophon album, Canadian pianist Jan Lisiecki explores a pair of early Romantic masterpieces: Mendelssohn’s Piano Concertos in G minor and D minor, in which he is accompanied by the internationally acclaimed Orpheus Chamber Orchestra of New York. He complements the two concertos with a selection of some of Mendelssohn’s most brilliant pieces for solo piano: the Variations sérieuses, the Rondo capriccioso and the “Venetian Boat Song” from the Songs without Words. Despite his youth, twenty-three-year-old Canadian pianist Jan Lisiecki has already built up a long list of achievements. Having skipped four grades, he graduated from high school at the age of fifteen. He began performing in public as a child, recorded his first album as a teenager, and made his Carnegie Hall debut in 2016, when he was still only twenty. Felix Mendelssohn was a year younger than Lisiecki is now when he wrote his First Piano Concerto in G minor; the work was dedicated to the seventeen-year-old pianist Delphine von Schauroth, then the object of the young composer’s affection. Cast in three movements, it is a lively, spirited work, at times requiring lightning-quick playing. Lisiecki finds it remarkable that the concerto begins as if “in the middle of a piece”, and particularly appreciates the buoyancy of this early work – he thinks of it as like “a nature trip” and notes that its “lightness of touch ... reminds [him] very much of playing Mozart”. He chose to record the concertos with one of the world’s leading chamber ensembles, the Orpheus Chamber Orchestra. This elite group of players from New York are unusual in that they rehearse and perform without a conductor.